Interesting post, John. Can't wait for part two. 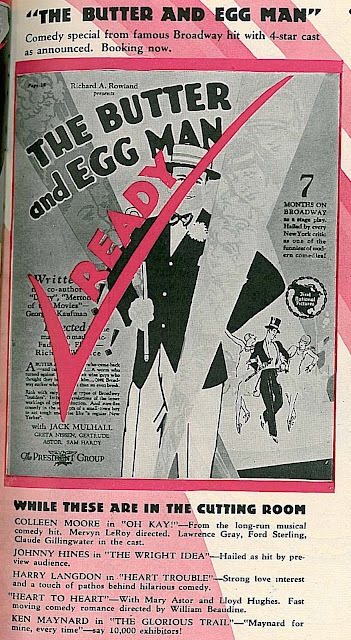 You only hint at this, but I suspect that the public may have been over-saturated with Langdon in 1927. When not using newspaperarchive.com for my writing projects, I like to do searches on various topics, and not too long ago, I queried Langdon to see if I could turn up some contemporary reviews. 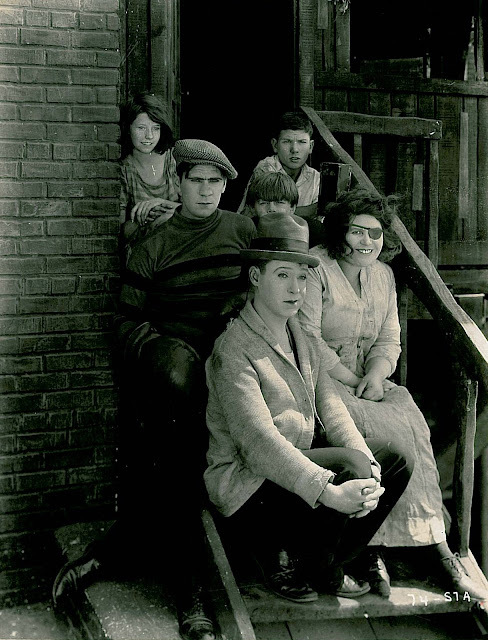 Not much on that score, but I did notice that, between The Strong Man still circulating, plus Long Pants, plus His First Flame, plus Three's a Crowd... 1927 saw an awful lot of the guy! I actually found a review - and a press-release plot description - for For the Love of Mike, Capra's initial post-Langdon work, which I promptly submitted to the wikipedia page for the film. Interesting that the title character gets a "swelled head" during the course of the picture, and must be set straight by his (immigrant) betters. 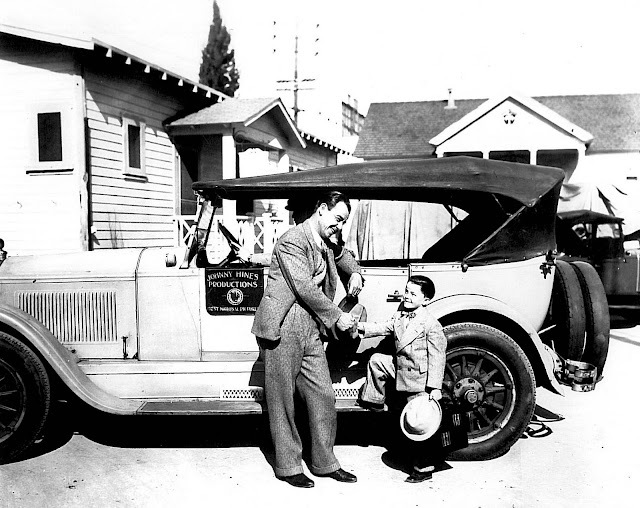 Hi Michael --- Very intersesting about that character in Capra's "For The Love Of Mike" --- I've not seen the film but would like to. The recently released Kino DVD of "Three's A Crowd" does, by the way, have an audio commentary by David Kalet that is really outstanding. His efforts this year on Langdon's behalf have been heroic, and I can't recommend his DVD box set "Lost and Found" set highly enough. The more I read about Langdon's allegedly worst movies, "Three's a Crowd" and "The Chaser," the more I want to see them. They sound more interesting than I'd been led to believe, and your stamp of approval just confirms it. Is it possible Langdon was ahead of his time -- or just out of step with it? 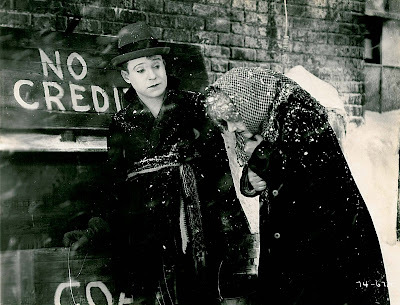 Such a splendid article that I ordered a copy of the Lost and Found DVD set this morning. More to come in Part Two on the overexposure aspect of Langdon. Kevin, you'll not be sorry for having ordered the "Lost and Found" DVD set. It's in all ways terrific. 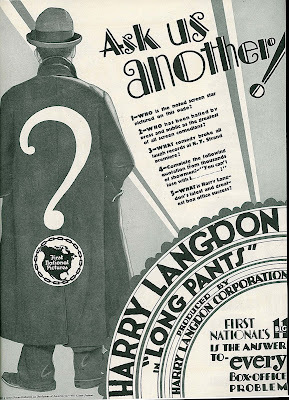 I couldn't get a handle on Langdon until years after seeing a few of his shorts over the years on TV. He was different from the others, that's for sure, tho. 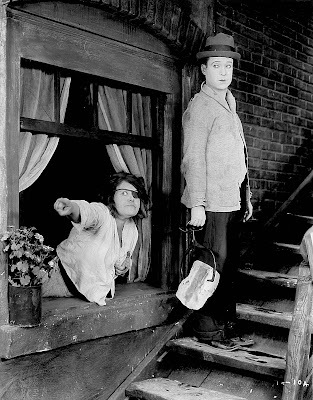 I used to go to a small theater that played eclectic fare for years, and out of all the myriad silent comedies there over the years, I saw only one Langdon film on the big screen - I suppose I should've considered myself fortunate, but I was new to the game. 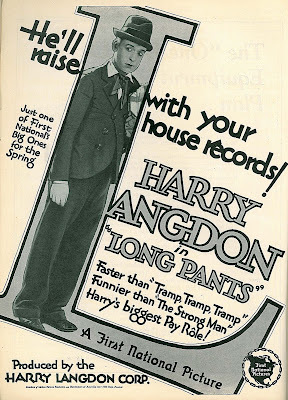 It was "Long Pants", and it was actually pretty good, I thought, but that was it for a long time. He is an acquired taste for most, I guess, and "uneven" in Merriam-Websters ought have his picture there. Speaking of the personal connection with where one sees a lightning strike comedy, or any film, and associates that place with it, that theater I used to frequent had a strange, individually musty scent, and a curious multi-colored, paisley-looking carpet that had a bit of a psychedelic pattern, and I got used to that whole experience as what naturally came with old and unusual movies. 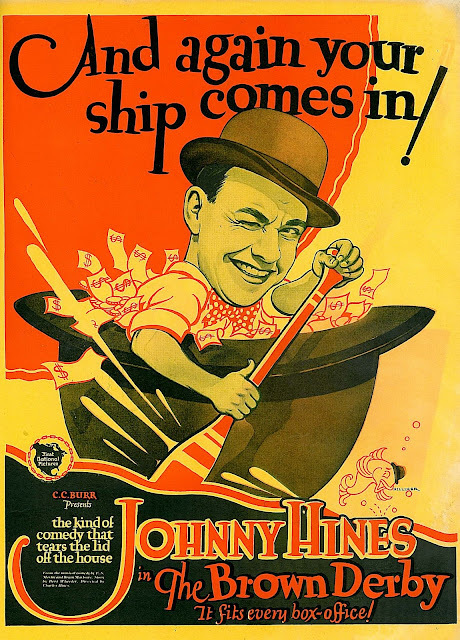 Imagine my surprise when I moved to my present location quite some time later, when I visited another cramped, run-down old box theater for a "Metropolis" showing, and damned if it didn't have the same carpet, and almost scarily, the same smell! They tore it down about a year after that, and I'll never be able to repeat that experience, but I still kinda smell it when I watch certain films on Tv or in another theater. Langdon's films are some that are liable to trigger that. But darn it, how could he vanish if his film had lots of gorgeous-girl interest? A lot of very interesting anecdotes and info, John. 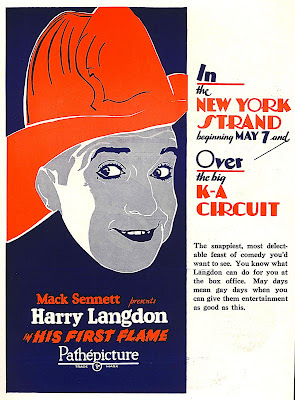 Unless I missed it, I didn't see a mention of my book Harry Langdon: His Life and Films which came out in June from McFarland. If folks are interested in Langdon, they might like to know that such a book exists. Again, great job. Bill, I have your book and I think it's GREAT. The best thing about Langdon ever written. I'm really pleased you liked this post. I'd have e-mailed you, but I don't have your address and didn't see it on your entries at SilentComedians.com. 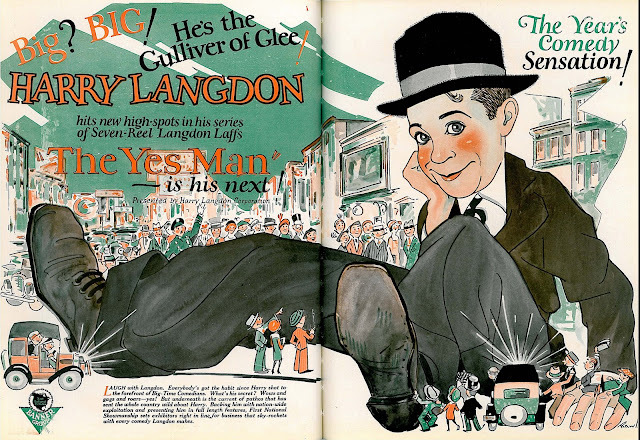 By all means, everyone interested in Langdon should read "Harry Langdon: His Life and Films"